UK’s leading recruiters launch potential game-changer for FE colleges. The first further education specific database designed to help colleges recruit teaching professionals has been launched by the UK’s leading recruitment service. FEjobs.com, which currently works with over 240 colleges, has announced the launch of their recruitment support tool amid ongoing teacher shortfalls as a state of flux continues within the profession. The sector specific online service, FE Talent, will streamline processes for the education sector, transforming industry recruitment. 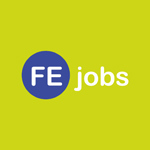 FE Talent is the sister service to Eteach.com, the UK’s largest online teacher jobs board with 1.4 million candidates currently registered with the site. The new service will allow colleges to access a pool of over 400,000 potential candidates; with 15,000 new candidates registering each month, the talent pool is constantly evolving. Designed to support colleges that are already resource strapped, the service’s intuitive search engine helps find suitable candidates quickly and efficiently. Colleges looking to fill job openings can search for candidates by role and location with the option to make notes alongside candidates of interest. Colleges can then download CVs and contact candidates directly to arrange interviews or find out further information. Commenting on the launch of FE Talent, Eteach Deputy Chief Executive, Robbie O’Driscoll, said: “The education industry is constantly changing, and in turn so is teacher recruitment. After listening to the colleges and lecturers we already work with we have developed talent pool software that will completely strip back the recruitment process and make it quicker and easier to recruit excellent candidates. “We understand that colleges are under pressure, both financially and resource wise, so we wanted to create something that would actually give them extra time to be getting on with the most important aspect of their jobs, teaching. Built with an innate understanding of users, the software is easily accessible and built to auto-update for ease of use. FE Talent can be up and running in minutes with no need for a complicated IT installation with dedicated Eteach staff on call to provide support with any technical difficulties.